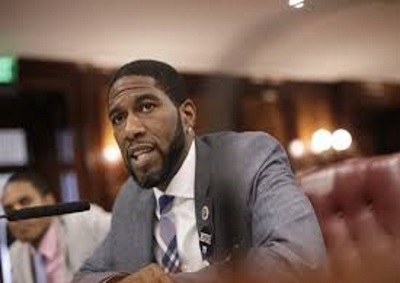 NEW YORK, Mar 28, 2018, CMC –New York City Council member, Jumaane D. Williams, has condemned the Trump administration’s decision to add a citizenship question to the 2020 Census. “I am a first generation American, the son of Grenadian immigrants. I represent a community of immigrants, in a city of immigrants, in a state and nation of immigrants. Each is immensely proud of their heritage, just as they are proud of their new home in the United States,” said Williams, who represents the largely Caribbean 45th Council District in Brooklyn, New York. “Given the onslaught of unrelenting unwarranted, bigoted attacks on immigrants from our government in the last 14 months, it is egregiously clear that the Trump administration’s appalling move to add a citizenship question to the 2020 Census is designed to serve one of two purposes,” said Williams, a candidate for Lt. Governor in New York State, the second highest position in the state. “Either the Trump administration and its allies want to collect information on immigrants with the intent of carrying out heinous programs, or they hope to create a pervasive fear that will discourage immigrant populations from participating in the census, and so damaging democracy by denying fair representation in government for diverse communities like the one I represent,” Williams told the Caribbean Media Corporation (CMC). He said no matter the intent, “this action continues what we know to be the Trump administration’s primary driving policy goal- to create an ‘other,’ a second class, and to exploit that division, separation and inherent bigotry. Williams said the fears of this and other recent actions, and the context in which they were taken, “are rightfully alarming. Brooklyn Borough President Eric Adams also condemned the Trump administration’s latest move. “We already strongly suspect that urban populations like Brooklyn have been chronically undercounted, and President Trump’s call for a citizenship question in the 2020 US Census will further undercut the accuracy of this critical count by discouraging the participation of immigrant Americans,” Adams said. “This decennial process is hard enough without putting additional barriers in place. I thank (New York) Attorney General Schneiderman for bringing a lawsuit against this misguided policy on behalf of all New Yorkers. 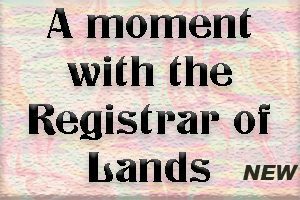 Adams said In the months ahead, his administration will work in partnership with community-based groups throughout the borough to make certain that all residents are accurately reflected in the census. Schneiderman said he is heading a lawsuit by at least 12 US states in an attempt to prohibit the Trump administration from adding the citizenship question on the 2020 census. New York and the other states say the initiative would patently violate the US Constitution. A little time lapse video from this weekend.